We know our community can lead the way and be proactive in deciding what happens to and in our schools. We would love to see our children thrive and reach their full potential within an inspired & inspiring learning community that is supported by an environmentally-healthy & modern network of educational facilities. An inspiring K-12 school campus in Kelowna, BC. SS2020 presented the Community Learning Campus draft proposal at a community forum on October 29. The SLIDESHOW we created provides the possible proposal along with important information and ways to move forward. As a community-based model, this vision will ensure that the teachers, students and community members using the space, will be involved in designing what it looks like through future visioning sessions. So many exciting possibilities exist! Many questions about the Community Learning Campus have arisen through the Community Forum held in October. Check out the FAQ page, which aims to address questions and provide some clarification! What are the roots of the Community learning campus idea? The SS2020 proposal has been informed by 3+ years of research and consultation with experts and the local community. Here is a timeline that shows some of the exciting work that SS2020 volunteers have done since 2015. Education Canada published an excellent overview of Sackville Schools 2020's vision and how far the movement has come since it began in 2015. Sackville Schools 2020: A community vision for education is an article worth reading to gain a better understanding of why there is so much support for the work being done by this group on a widespread level, local to international. Check out the recent CBC article and interview from Oct. 29, 2018. It provides some more information on the SS2020 Community Learning Campus idea. 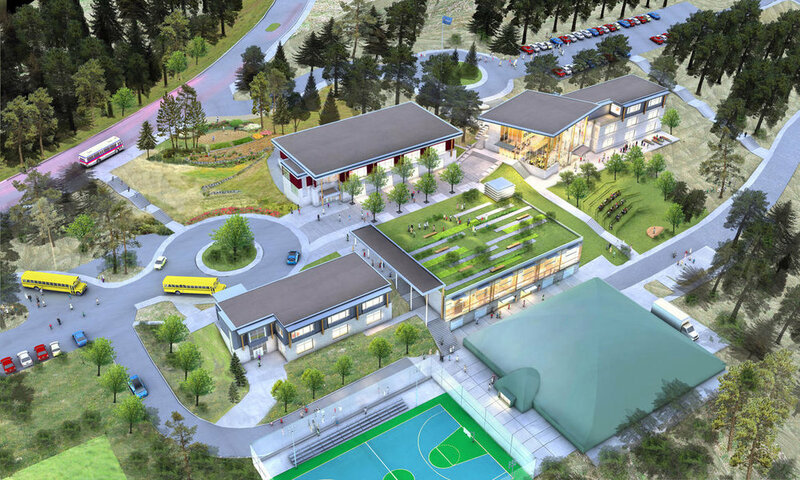 SS2020 is receiving lots of attention for this vision, as many in NB are recognizing the need for more community involvement in designing new schools.